I am running for a two year term on the operating committee of our fire district and would appreciate your vote.. Over the past years I have been a very active member of the committee working on making ours one of the best districts in the area. I am a strong advocate for our fire fighters helping to ensure that they are well equipped, trained and appreciated for their efforts. I have also worked hard to ensure that our taxpayers receive excellent value for the taxes that they pay. We maintain one of the lowest tax rates in the state and have the lowest tax rate in the area for a true fire district. I help to ensure transparency in how the district operates, and I don’t shy away from matters that need to be addressed when the topic is a difficult one. I have worked well with the contracting district leaders to ensure fair contracts for all. If elected my goals for the next two years include creating a capital plan for the next 7 years that supports our district’s and fire fighter’s needs with the least tax rate effect possible, working toward making the Grange building owned by the district more self supporting, and working on a long term solution that solidifies our working with the Bradford Fire District . 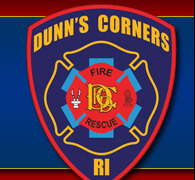 In closing, I thank the men and women who serve the Dunn’s Corners Fire District, for their fine efforts.